Traditional magnetic resonance imaging (MRI) is effective for brains, muscles and the heart, but falls short when it comes to bones and other things that lack water. Now, Yale researchers say they've developed a form of MRI that can help researchers see better into the insides of bones and other solid objects. For now, though, it can't be used on living beings, because of the amount of heat that the process generates. But the researchers say that it could be very useful for archaeologists examining things like rocks. The team of researchers led by Sean Barrett, a professor of physics and applied physics at Yale, described the process in a paper published Monday in the journal PNAS (http://bit.ly/xEWC9b, abstract only). Standard MRI, which has been in use since the late 1970s, targets hydrogen atoms. 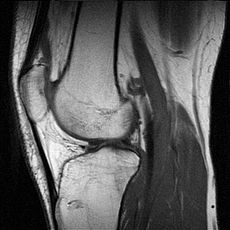 The MRI developed by Barrett and his team targets phosphorus atoms, abundant in bones and certain rocks.